Find Sensing Our Planet on Facebook! Follow Sensing Our Planet on Twitter! New methods help Argentinian farmers brace for bad weather. Eleven-year old Kristen Rasmussen and her classmates watched from under their desks as a tornado churned past their classroom window. She marveled at the terrifying beauty of the tornado as it whirled over her school playground in Boulder, Colorado. Today, Rasmussen studies intense storm systems all over the globe, tracking weather as unpredictable and intense as the twister she saw as a kid. Rasmussen, now a postdoctoral research scientist at the National Center for Atmospheric Research (NCAR), has her sights on storms in subtropical South America, most of which is in Argentina. The storms there are “untamed, intense, and vigorous,” much like Argentine wine. Though wine buffs might recognize that tagline for Malbec World Day, a celebration of Argentina’s flagship wine, scientists have discovered that storms from the region bear the same characteristics. It turns out Argentina has the perfect terroir that gives both its grapes and storms their distinctive character. But unlike Argentine grapes, little is known about their storms. With satellite rainfall data and a little creative detective work, Rasmussen and her colleagues are tracking these mysterious storm systems, years after they have dissipated, to ultimately discover how they formed. What they learn could be a boon to science, and to the economies that depend on the fruit of the vine. 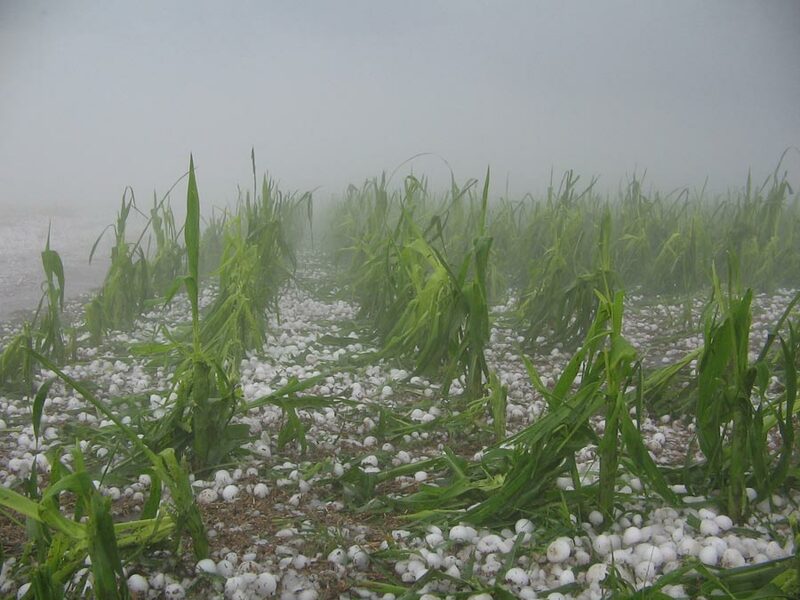 One area that gets a lot of hail is Mendoza. A province in the foothills of central-west Argentina, Mendoza is home to most of Argentina’s vineyards, and produces most of South America’s wine. 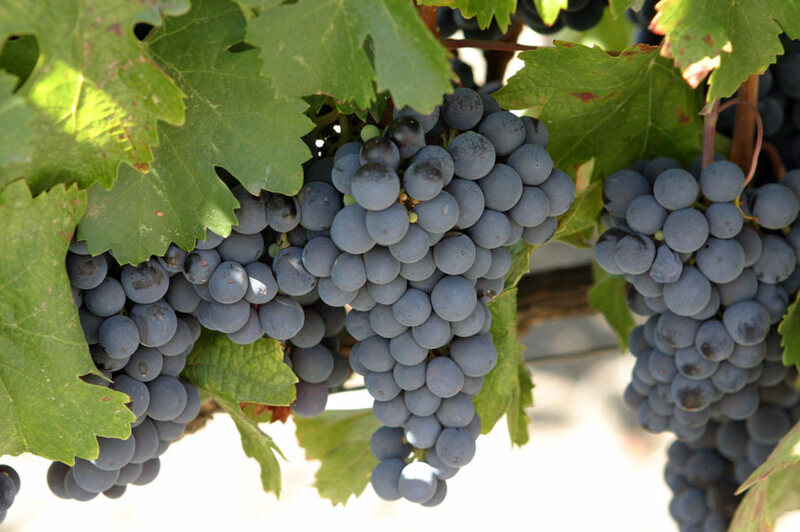 Cabernet sauvignon, chardonnay, and malbec grapes thrive in this high-altitude desert region. Like other regions in the Andes foothills, Mendoza’s geography plays a big role in breeding intense systems that can dump much of a region’s annual precipitation all at once, sometimes in the form of grapefruit-sized hail. The Andes funnel warm, moist air from the Amazon down into Argentina’s subtropical arid environment. This provides the convection—rapidly rising warm air mixed with moisture—that fuels severe weather. Rasmussen and her colleagues are among the first to document the mesoscale convective systems in South America. They needed to find out exactly where these systems are happening, and when. Manuel Zuluaga, a research scientist at the Universidad Nacional de Colombia, said, “We wanted to try to know why, but the first step on the list was to locate the storms.” To pinpoint locations, the researchers meticulously tracked the systems, snapshot by snapshot, using sixteen years of TRMM data from NASA's Goddard Earth Sciences Data and Information Services Center (GES DISC). Electromagnetic echoes that had bounced between the radar instrument and the rain and ice droplets gave shape to the storms. Rasmussen said, “It’s like an MRI. It scans the internal pieces and gives us crucial information for understanding the character of the storms.” The process helped identify three major types of severe storms within a mesoscale system. These three types, called deep core, wide core, and broad stratiform, coincide with the phases of a system. Zuluaga explained, “Imagine a big storm with a lot of lightning and wind. The air starts rising, making big, deep plumes that go up in the atmosphere. That’s what we call deep core. Next, the cells become bigger and shallower, and they become wide cores. Later, when everything is dying out, they become broad stratiform, where the rainfall is light, but widespread.” Severe weather follows, cycling from hail near foothills in places like Mendoza to flooding and tornadoes on the La Plata Basin, Argentina’s central plains. With the search narrowed, Rasmussen devised a way to close in further. They needed a map that validated where the three types of storms struck land. This is typically created using in situ measurements, such as meteorological ground stations. But South America has few of these. She realized local newspapers could show major storm events. Scouring newspaper databases for articles on hail, flooding, and tornadoes, the team gathered the top 100 cases that matched the three storm types near the time the TRMM satellite passed overhead. Roads and landmarks mentioned in the articles helped them locate the storms on a map. With the lightning record and a map of storm reports, they created the first detailed profile of the storm conditions in the area. “Now that we have a map of where they happen, we can relate that to what we know about the physics of the atmosphere to learn the causes,” Zuluaga said. This helps them improve forecasting models, which will help predict dangerous weather. 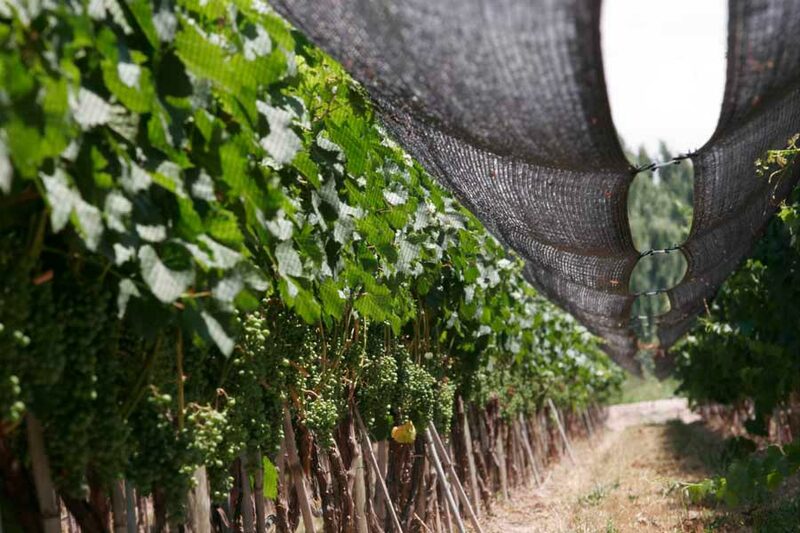 In an interview with Rasmussen, a spokesperson from the Bodega Norton winery in Mendoza said that installing nets to protect against hail is very expensive, almost $10,000 per hectare, so some producers cannot afford them. The government uses a program of cloud seeding to destroy the hail, but it is done only east of Mendoza. Better forecasting of the storms that hit all regions could help the Argentine government target them more effectively in the future. In the meantime, improvements in satellite instruments will help Rasmussen and her colleagues collect more nuanced information. TRMM was decommissioned in June 2015, but the Global Precipitation Measurement (GPM) satellite is now orbiting Earth in its place. Zuluaga said that GPM’s ability to sense dual wavelengths allows them to study mid-latitudes and see more ice in clouds than before. A ground-based radar called S-Band Dual-Polarization Doppler Radar (S-Pol) that can scan the atmosphere continuously will help them do just that. The team is busy planning a field campaign with the Argentinian Meteorological Service (Servicio Meteorológico Nacional/SMN) and researchers at the University of Buenos Aires to begin using S-Pol. Along with instruments on the ground, humans are helpful, too. In the United States, storm spotters trained by the National Weather Service (NWS) and other agencies regularly report hail sizes or tornadoes. It will take time to train citizen scientists in Argentina, and to develop a national system for archiving their observations. Cecil, D. J., D. Buechler, and R. Blakeslee. 2014. LIS/OTD 0.5 Degree High Resolution Monthly Climatology (HRMC) Data. Available online from the NASA EOSDIS Global Hydrology Resource Center (GHRC) Distributed Active Archive Center (DAAC). Huntsville, AL, USA. doi:10.5067/LIS/LIS-OTD/DATA303. Christian, H., S. Goodman, and R. Blakeslee. 2014. NASA Marshall Space Flight Center (MSFC) Lightning Imaging Sensor (LIS) Science Data. Available online from the NASA EOSDIS Global Hydrology Resource Center (GHRC) Distributed Active Archive Center (DAAC). Huntsville, AL, USA. https://ghrc.nsstc.nasa.gov/uso/ds_docs/lis/lis_dataset.html. Houze, R. A., Jr. 2004. Mesoscale convective systems. Reviews of Geophysics 42, doi:10.1029/2004RG000150. NASA Goddard Earth Sciences Data and Information Services Center (GES DISC). 2014. TRMM 2A-23 and TRMM 2A-25 products. Greenbelt, MD, USA. Rasmussen, K. L., M. D. Zuluaga, and R. A. Houze Jr. 2014. Severe convection and lightning in subtropical South America. Geophysical Research Letters 41: 7,359–7,366, doi:10.1002/2014GL061767.